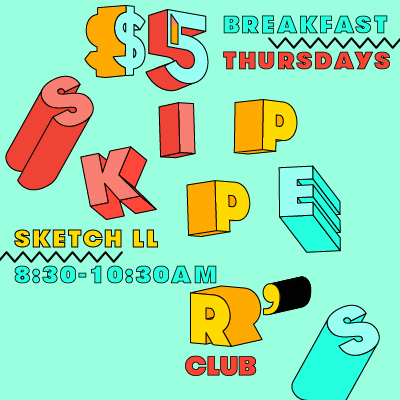 Bring your morning tummy grumbles to The Skipper’s Club: our new weekly $5 breakfast pop-up in the LL, now every Thursday from 8:30-10:30AM. The Skipper’s Club has been known to sell out early, so no dilly dallying! Share the attached invite with your hungry friends!